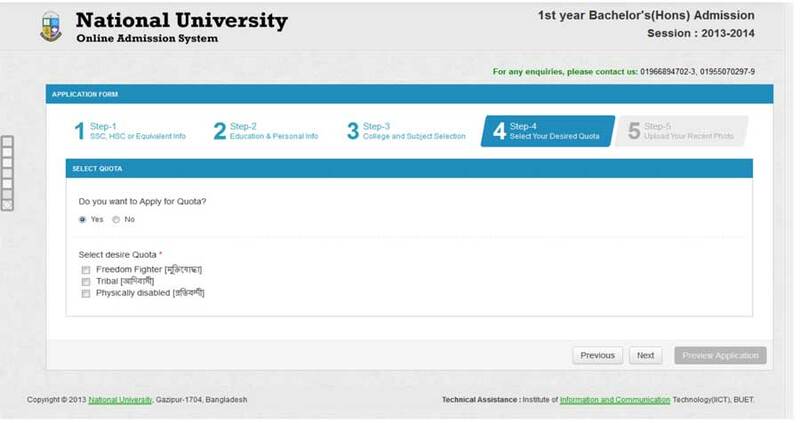 NU Admission Online Application Form Fill Up Instructions 2015-16 | NU.EDU.BD. National University Honours Admission process for the academic session 2015-16 has been started. The candidates are being called to fill up the application form through online. 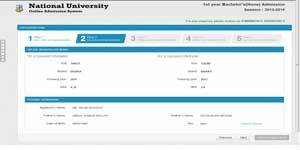 This post concerns about the details how to apply online for National University Admission 014-15. Step 2) Education & Personal Info: Fill up the Application form with your education & personal info and you will see a page like below image. 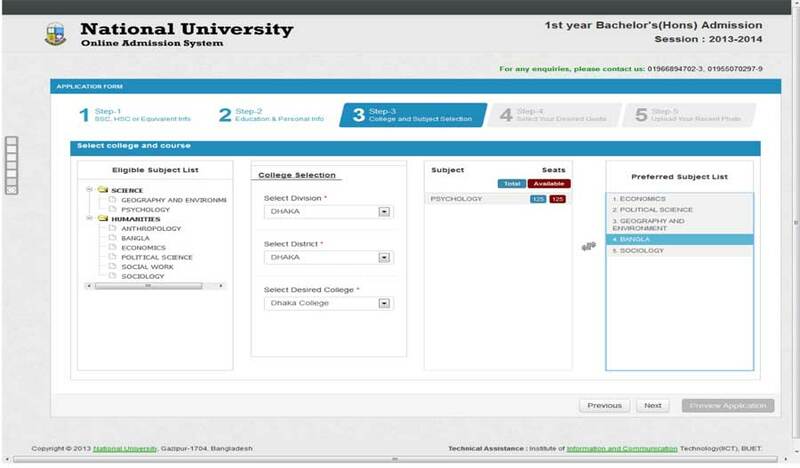 Step 3) College and Subject Selection: Select your desired college and subject. You have access to select total 15 subjects. [While selecting subject you can see the number of seats of that subject in the respective college]. Then Click on the Next Button and you will see a page like below image. Step 5) Upload Your Recent Photo:Upload colored photo of 120X150 pixel, file size less than 50 KB and upload in JPG format. Then give your mobile number which will be used for contact in the future. After completing the above five steps you will see Application Form Preview. Click on “Submit Application” button. Then you will get your Admission Roll No and PIN Number. Download the Application form and print it in an A4 sized offset paper and give your signature. Submit the Application form with Application Fee: 300/- and necessary documents. The second part of the printed Application Form will be backed with the Signature and Seal of Professor of respected college. The second part of the printed Application Form will be considered as ‘Admit Card’. 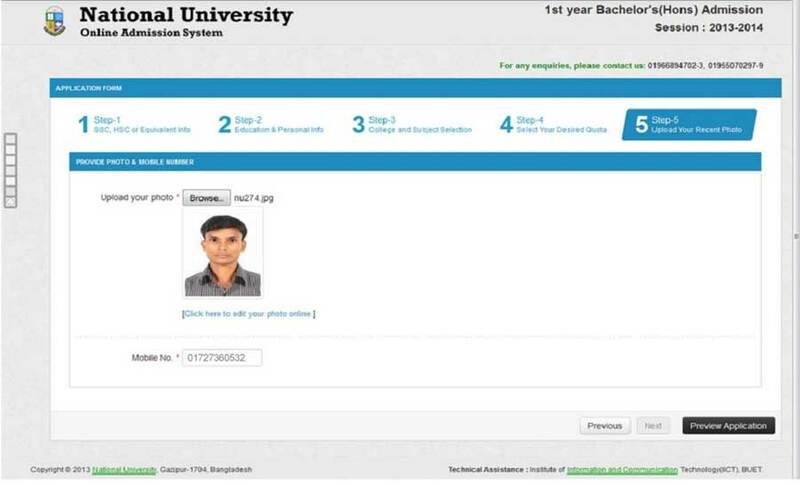 This entry was posted in Honours, National university and tagged How to Apply Online for National University Admission 014-15, National University Admission Application Form 2014-15, National University Admission Result 2014, National University Online Admission Application Form, NU Admission Admit Card Download 2014-15, NU Admission Application Form 2014-15, NU Admission Apply Online 2014-15, NU Admission Form Fill Up Instructions 2014-15, NU Admission Result 2014-15, www.nu.edu.bd/admissions by Result Gov BD. Bookmark the permalink. 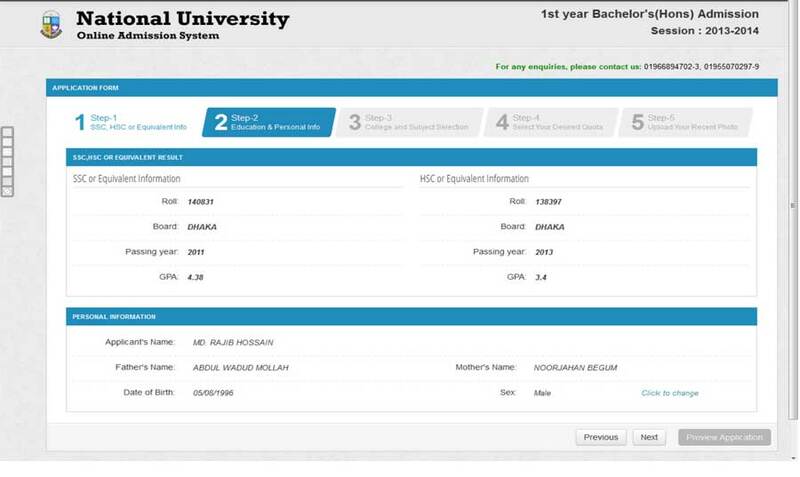 Online application koray felci but akhon clg ta change kortay chai.ki vabey kora jai ektu bolben? Please add some info about this.